If you're Detective Versado's geeky teenage daughter, Layla, you commence a dangerous flirtation with a potential predator online. If you're desperate freelance journalist Jonno, you do whatever it takes to get the exclusive on a horrific story. 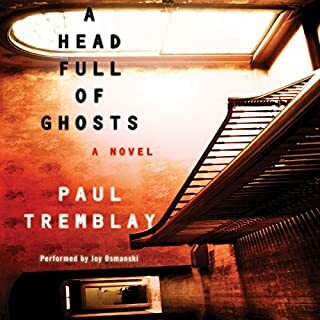 If you're Thomas Keen, known on the street as TK, you'll do what you can to keep your homeless family safe - and find the monster who is possessed by the dream of violently remaking the world. 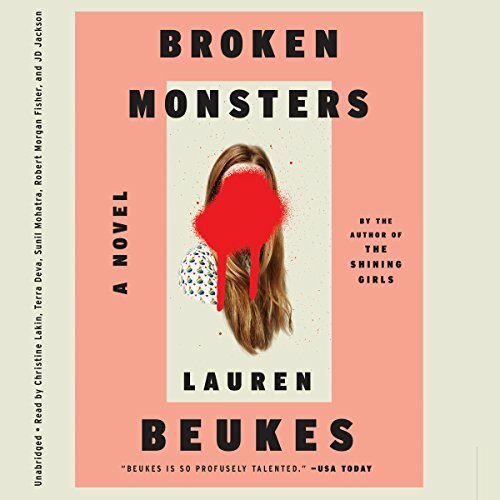 If Lauren Beukes's internationally best-selling The Shining Girls was a time-jumping thrill ride through the past, her Broken Monsters is a genre-redefining thriller about broken cities, broken dreams, and broken people trying to put themselves back together again. 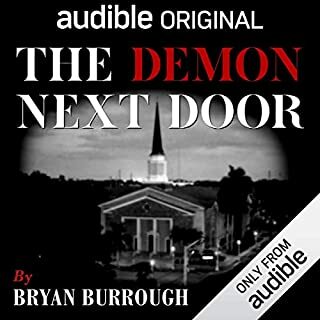 I have not heard these narrators before, but they were perfectly cast. They brought personality to each character and gave the story great texture. Another fantastic book by Beukes. 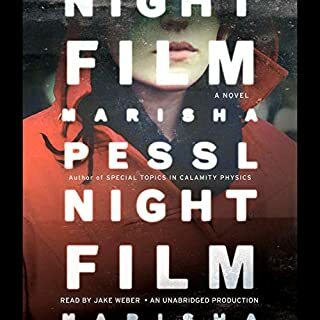 Wonderful mix of detective thriller, commentary on modern life and social media, keen observation of the impact of the economic downturn on a once-great city, exploration of the artistic process and mental health, with a final touch of the supernatural. The book is grounded by multiple narrative voices: a detective who struggles to balance work and single motherhood; her daughter who is navigating teenage life where social media has the power to consume and obliterate; an artist struggling with his work and sanity; a homeless man finding a way to survive in Detroit despite a fraught past; and a hipster-blogger-wannabe who is awash in pretension and an unattractive desire of recognition. Beukes manages some impressive character depth and sharp, believable dialog. She also depicts a struggling Detroit, weaving in realistic details and actual headlines to underscore plot points examining social media and how it drives daily life, for better or worse. 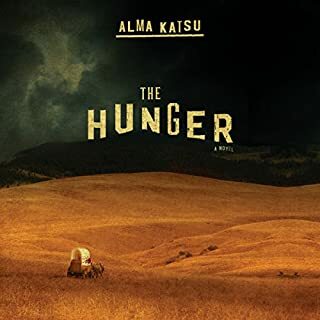 In many ways, the book feels akin to a Stephen King in the best way -- no throwaway characters, no sloppy lines, no shortcuts in depicting the setting, and supernatural elements that accent rather than overwhelm the story. Highly recommended. Get ready to listen to text convos and fake reddit threads. I was led to believe this would be very scary....maybe for teens? Rather than being a 'genre-redefining thriller", Broken Monsters is a combination of police procedural/serial killer thriller and supernatural horror tale. The problem is these elements are barely integrated so the story builds as one type of tale, ends as another and the climax ends up feeling distinctly at odds with what preceded it. Rather than being a surprising twist, it felt false. To be fair, there are a few hints that the story could go in the direction it eventually does but the ideas aren't unified in a satisfying way and the novel left me disappointed. On the plus side, it is an interesting, if ultimately not quite satisfying story and Lauren Beukes can write. The characterization is solid and the narration is superb. 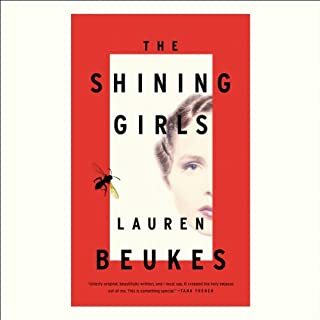 Beukes captures slices of the modern social media culture, the post industrial decay of urban America, the police procedural and the supernatural horror novel blended well by the differing narrators to very good effect. Majority of the book is a very realistic crime thriller with believable and interesting characters. It does start a little slowly for my tastes. The final act of the book is very tense and takes a fascinating turn. I'd compare it to Neil Gaiman's novel American Gods. This is a very original story using very old techniques of the genre. The large amount of voice actors was nice to keep you on track with the complex story. Each actor was good or better. I would for sure say this was worth a read. Good character development. 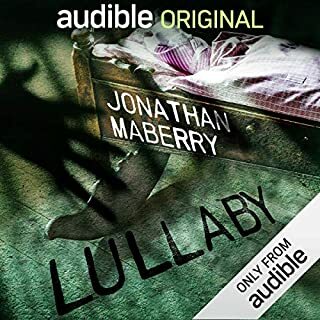 The book is OK and the narrators were pretty good, but the end gets unnecessarily strange and didn’t seem to make sense with the rest of the story. It also seemed to riff off of the 1998 movie Fallen. I know it's interesting to me when the story enters my head a couple of times in my work day. I think I really like the multiple narrators for different story lines!